A Loft bed is a popular bed for a room that has an owner who wants to have a smart furniture item. 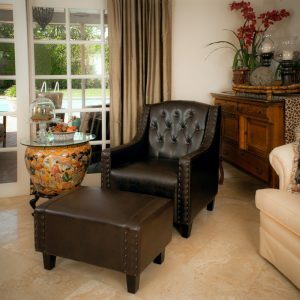 It is a space saver furniture item that will really suitable for a small space. 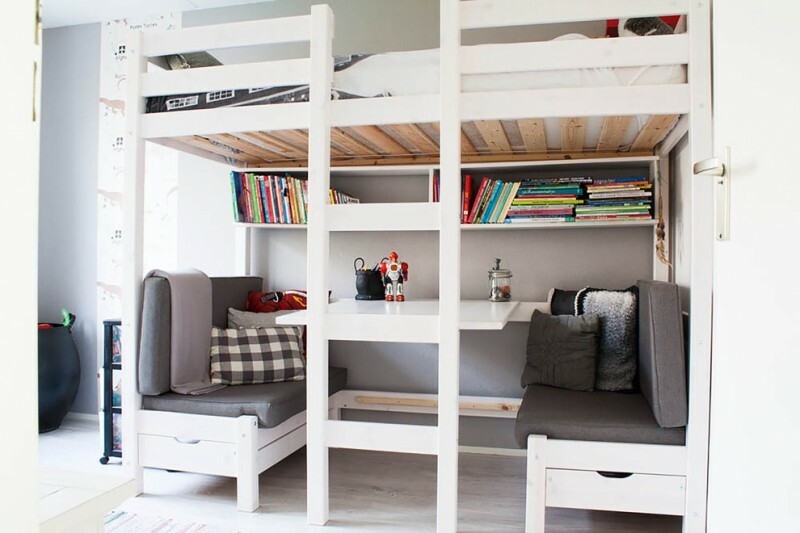 Your kids will be happy if you put a loft bed with a sleeping space on the top and a study or seating space on the bottom. It will make them happy and have lots of spare space to play. Since the loft bed is for children, you can look for the one with a neutral color. 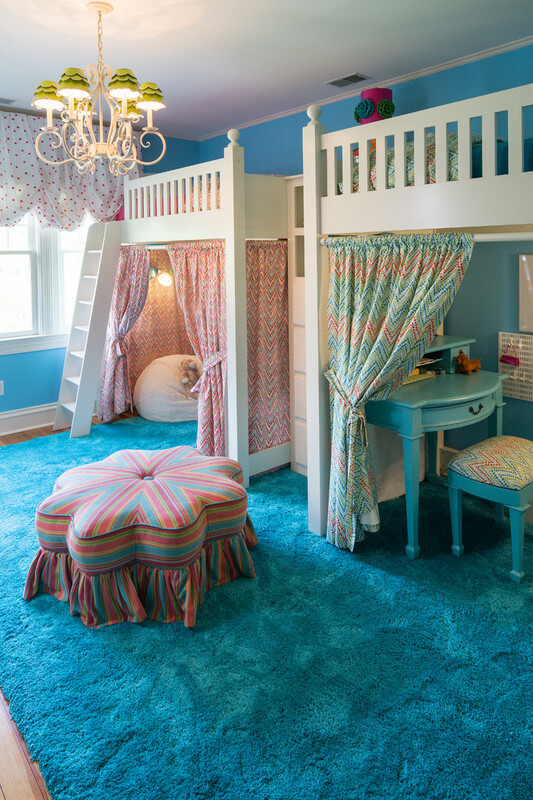 The kids will be able to play with colors to fill the bed and the room creatively. Here are some inspiring kids white loft bed ideas that will be your inspiration to build a nice bedroom for your kids. 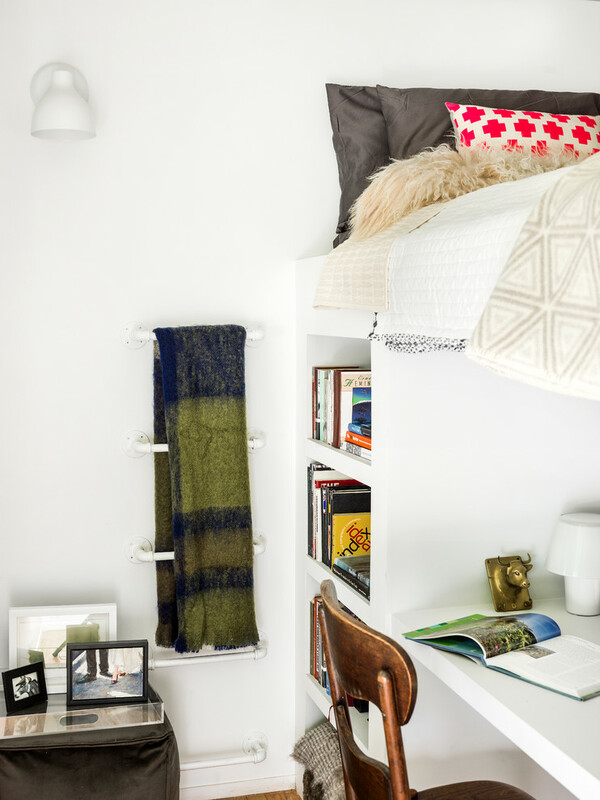 This white loft bed is fully custom designed and built to fit the space. 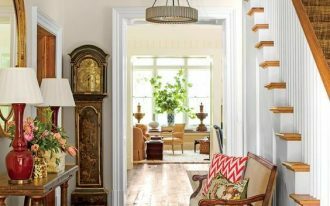 It offers a built-in desk for the kids to study and built-in bookshelves. The white wall can be filled with colorful artwork or kids painting. 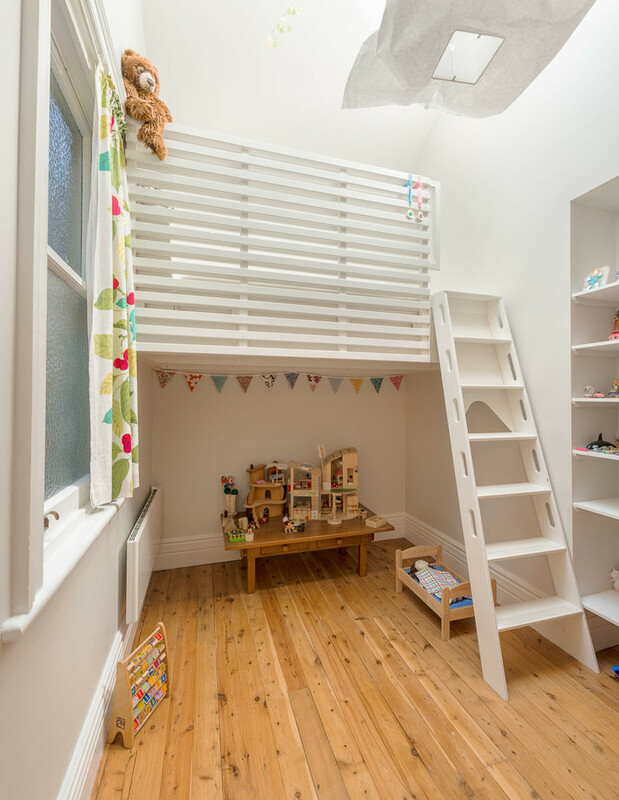 A wooden ladder and railing are provided in this kids white loft bed for easy access and protection. The bedding and the area rug are colorful that give decorative features and fun vibe in this white bedroom. Beside a white built-in loft bed, this spacious bedroom also provides the white cubbies, colorful basket drawers, and a black table. It is a nice to have a bedroom and a play zone in one space. 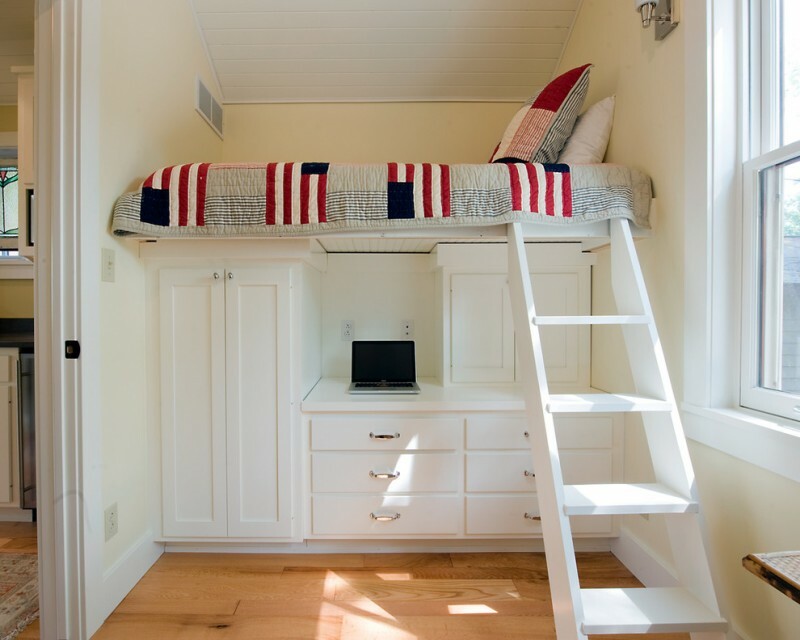 A small bedroom with extra height has an advantage, you will be able to create a white loft bed with a white ladder. 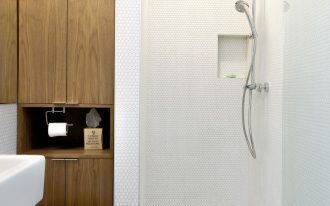 The bed is covered with the slatted wood for privacy. This kids bedroom has two white loft bed for the twins. 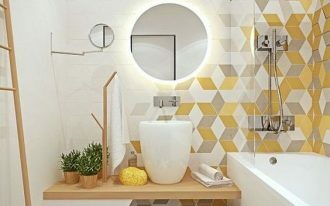 You can differentiate the owner by giving specific colors for the curtains and features under the bed. 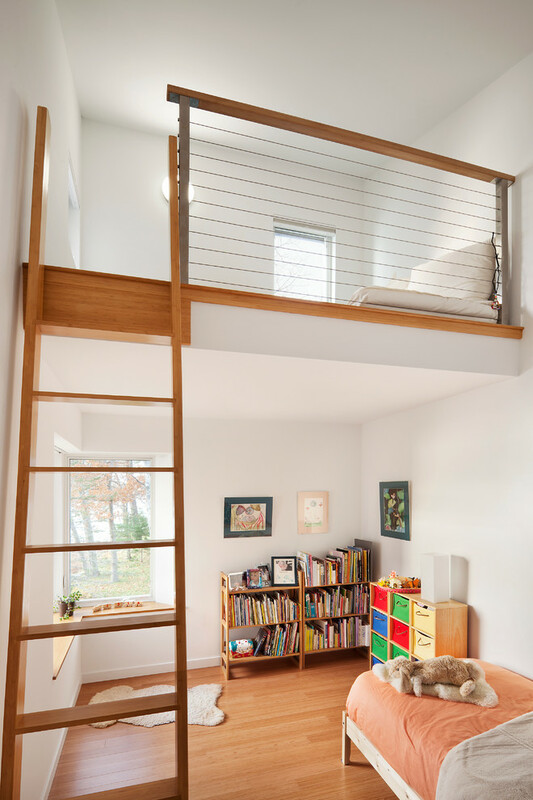 This kids white loft bed features built-in cabinets, desk, and drawers. 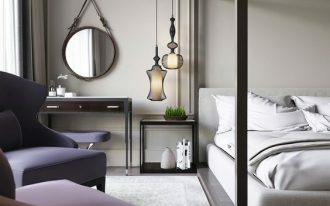 You can use off-white on the walls and a crisp white for the built-in features to create visual depth in this bedroom. This bedroom has another sleeping space on the built-in loft bed. The windows on the loft bed and the corner windows make this bedroom brighter. This cozy loft bed has nice features on the bottom. 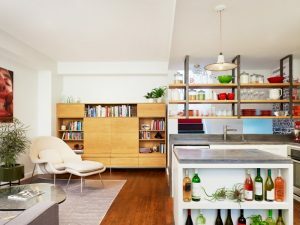 There are grey seating space, some drawers, a built-in table, and bookshelves. Providing some open shelves under the loft bed is a unique feature. The Shelves can be used as a display for kids toys collection. This shabby bedroom is suitable for girls. It provides a bed, a white loft bed, and a window seat. The loft bed can act as additional sleeping space for the sleepover friend.